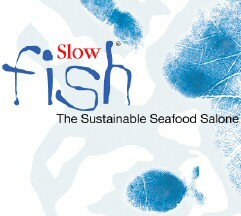 Organized by Slow Food Association, from April 17th to April 20th Genoa hosts Slow Fish, an international exhibition, whose main pattern is fish. This year main theme aims to improve the sense of tasting and to protect the Mediterranean Sea, while the absolutely hot news regards the presence of personal shoppers, who will show you through new and unusual fish species. Obviously you will find the "Mercato" (literally, "market") with fresh as well as in-oil fish, different kinds of oil, spices, salt, seaweeds and other products; at the "Enoteca" (literally, "wine-tasting shop") you will be given the chance to learn how to choose the perfect wine for each fish-based dish, and at the "Osterie del Mare" (literally, "sea inns") you will find out about food specialties from all over the world.